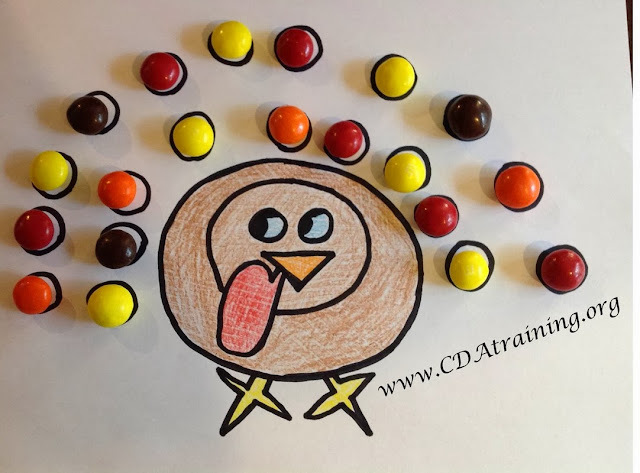 Supplies Needed; Turkey print out (see below), crayons or markers, and 20 fall colored candies. For our candies we used peanut butter m&m's, but you can easily substitute for candy corn, skittles, gummy bears, raisins or even grapes. 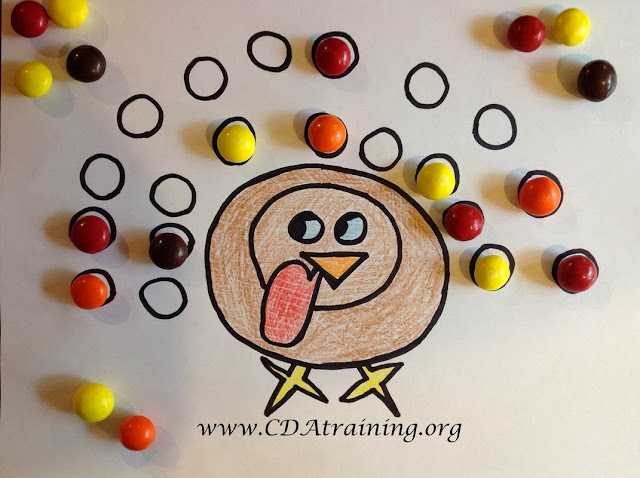 Instructions; Have children color turkey as desired. give them 20 candies and instruct them to place them in the circles (as shown below). For older children, you can ask them to create specific patterns or to add/subtract candies as a math integration activity.